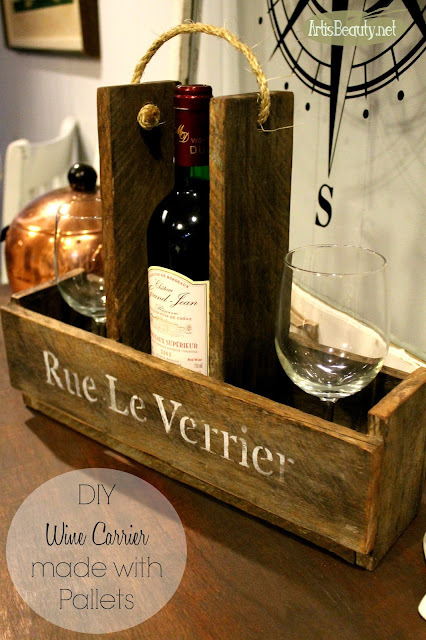 ART IS BEAUTY: DIY French Wine and Wine glass carrier made from Pallets. DIY French Wine and Wine glass carrier made from Pallets. 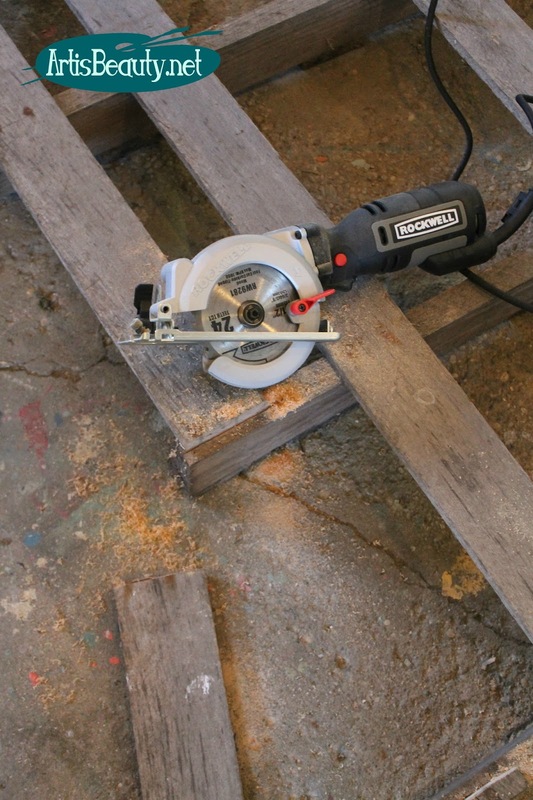 I am so excited to be back with you to share this great Pallet Project. Being a connoisseur of FREE things, I love to be able to make something fun and functional with pallets! 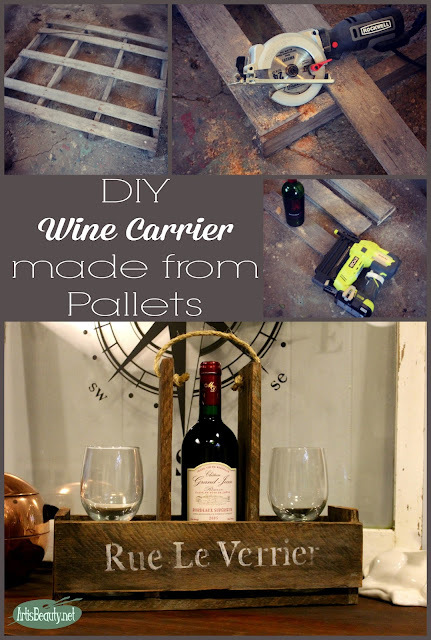 Come see how I used this FREE Food Grade Pallet to make this Beautiful French DIY Wine carrier. 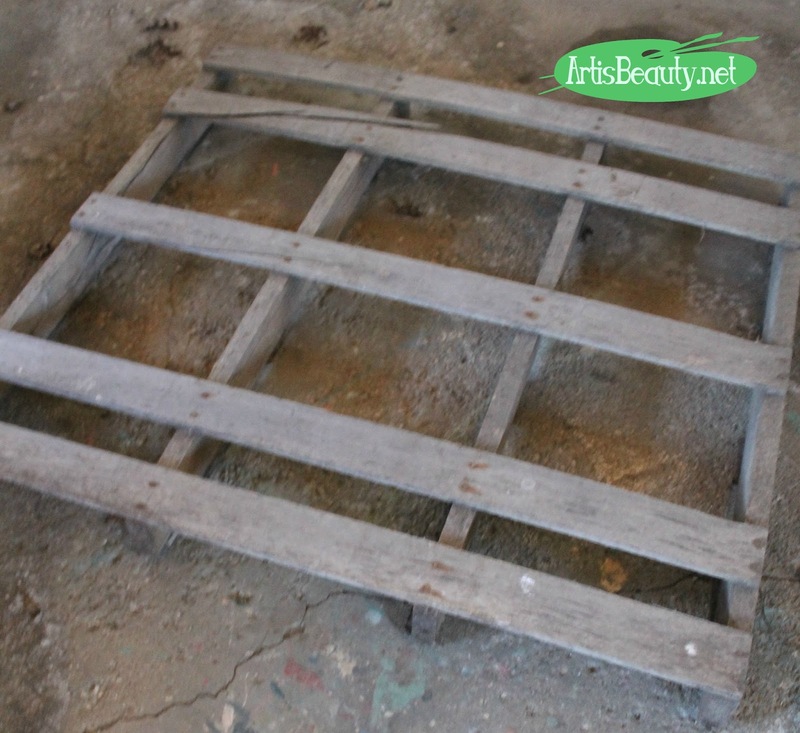 Here you can see my free food grade pallet. To get the pieces I needed for my wine carrier I just used my Rockwell circular saw and cut off my pieces. Once I had all my pieces cut I laid out my design to see how big I wanted it. You can see here I brought out an old wine bottle and my glasses to make sure I gave myself room to get these in and out of the carrier. 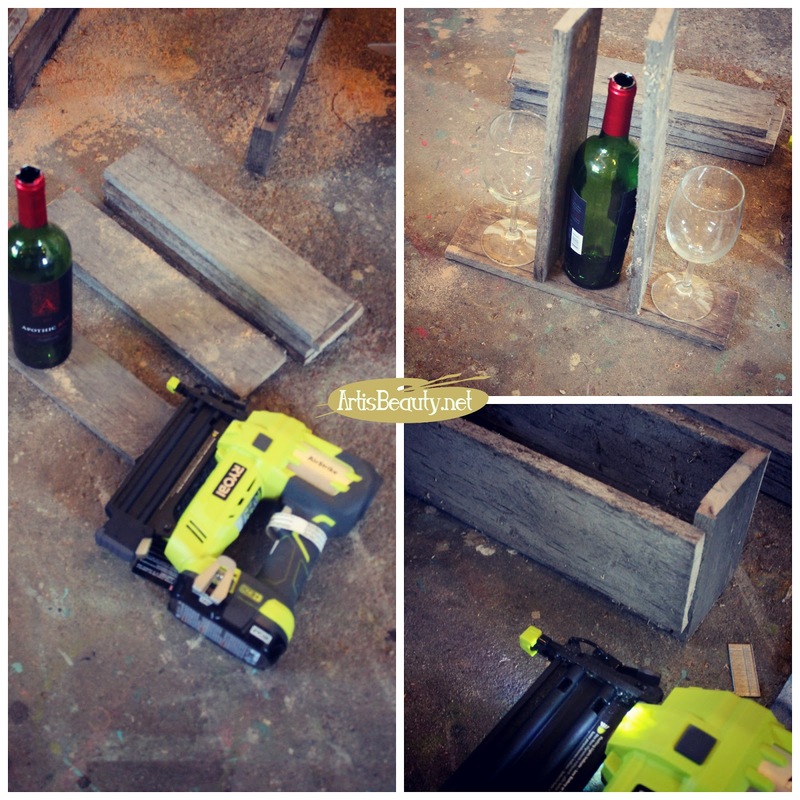 Once I decided on my size I made a few small cuts to even things out and then used my Ryobi Airstrike nailer to shoot some nails into to quickly hold it together. 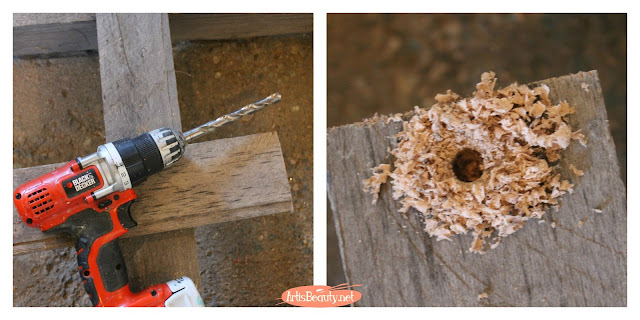 Knowing I was going to be tying some rope as the handle I just used my drill to drill two holes in the top standing boards. 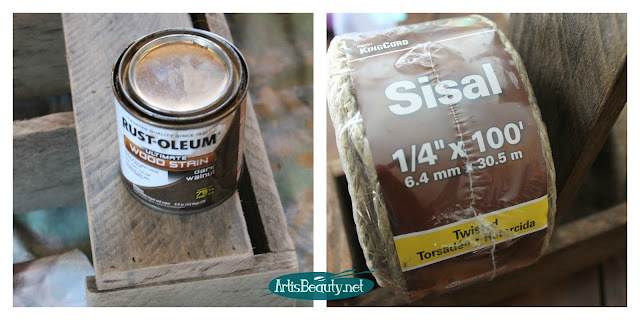 and tie a handle with my sisal rope. stenciled this on the front. 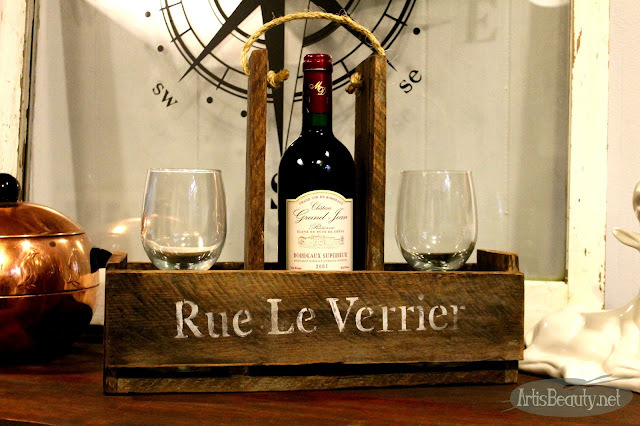 I just love how rustic yet charming it looks and functional as well. And it was all made from free pallets. I hope you liked this latest project.